Criminal conduct is largely the purview of boys and men. 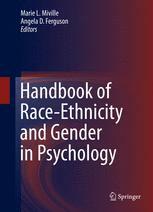 Regardless of time, culture, country, or measurement strategy, scholars have repeatedly concluded that males, irrespective of their race or ethnicity, are responsible for the vast majority of crime, particularly crime of a violent and serious nature (Belknap, The invisible woman: Gender, crime, and justice (3rd ed.). 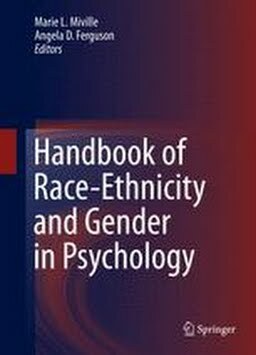 Thomson Wadsworth Publishing Company, 2007; Blanchette & Brown, The assessment and treatment of women offenders: An integrative perspective. Wiley, 2006; Muraskin, Women and Justice: It’s a crime. (5th ed.). Prentice Hall, 2012). Although girls and women commit considerably less crime than boys and men, official statistics suggest that arrest and incarceration rates for females have increased substantially over the last two decades while the corresponding male rates have either remained constant or declined (Glaze, Correctional Population in the United States, 2010, 2011; Snyder, Patterns and trends: Arrests in the United States, 1980-2009. U.S. Department of Justice, Office of Justice Programs, Bureau of Justice Statistics, 2011; Snyder & Sickmund, Juvenile Offenders and Victims: 2006 National Report. US Department of Justice, Office of Juvenile Justice and Delinquency Prevention, 2006). In 2010, women comprised 1.3 million of the 7.1 million adults in the USA under some form of correctional supervision (Glaze, 2011; Glaze & Bonczar, Probation and parole in the United States. U.S. Department of Justice, Office of Justice Programs, Bureau of Justice Statistics, 2011; Guerino, Harrison, & Sabol, Prisoners in 2010. U.S. Department of Justice, Office of Justice Programs, Bureau of Justice Statistics, 2011; Minton, Jail Inmates at Midyear 2011-Statistical Tables. U.S. Department of Justice, Office of Justice Programs, Bureau of Justice Statistics, 2012).